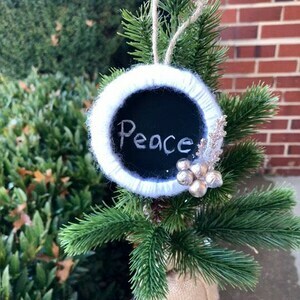 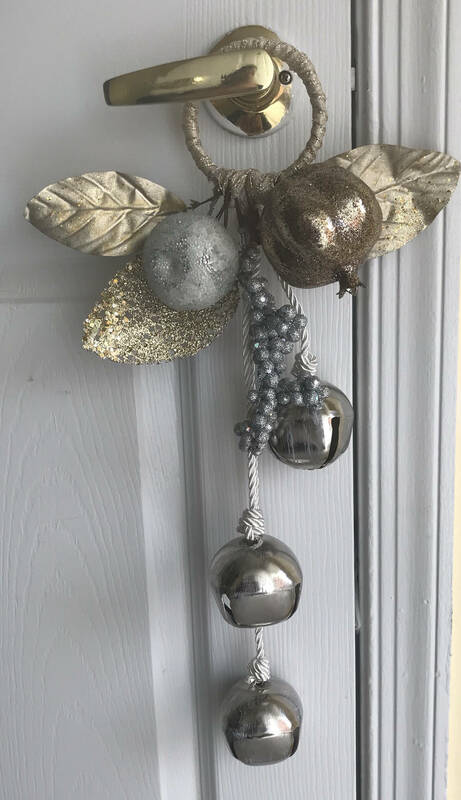 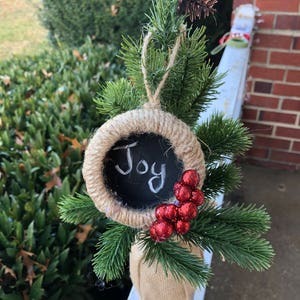 This simplistic yet elegant ornament adds a touch of Christmas to any door. 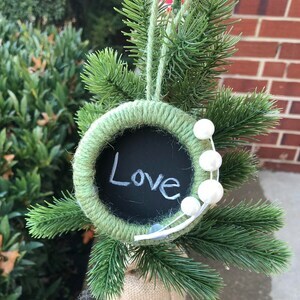 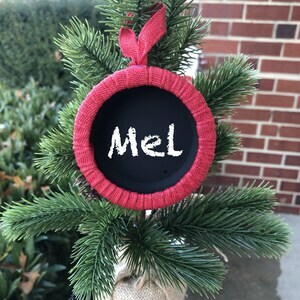 It’s round door hanger is hand wrapped with golden ribbon. 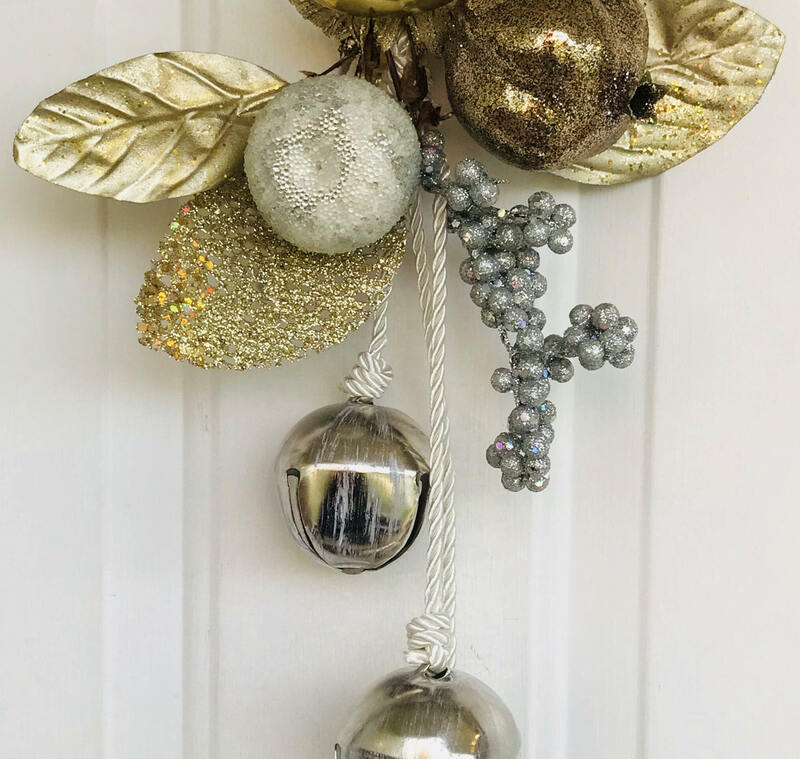 While faux gold and silver fruit are carefully placed on the lower hanger with attached silver bells.